Copa Airlines has significantly slashed the price on a small number of their flights flights from Toronto (YYZ) to Lima, Peru (LIM). There are certain date combinations in February 2014 that are $431 roundtrip including taxes, which is 50% cheaper than the closest competing airlines. Typically the cheapest flights from Toronto to Lima on any airline are in the range of $800 roundtrip including taxes. In the middle of your screen, below the chart above, you'll see the flight details. Look for the Copa Airlines logo. Below that you'll see 'X seats left at this price' (which is usually just a marketing gimmick, not an accurate reflection of ticket availability). And below that you'll see links to Copa Air, Orbitz, Expedia, etc. Click on the link to Copa Air, to begin the booking process on Copa Air's website with your selected dates. As of this writing, the prices look to be verifying on Copa Air's website, at least on the date combinations I've tried. They are coming up as $409 USD, which is approximately $431 CAD. At this price level, it's about as cheap to fly to Lima, Peru in February as it is to Cancun, Mexico! February is summer in Peru, and generally the hottest month in Lima, with average highs of 30C. There's also very little rain in Peru (Lima is one of the driest capital cities in the world). 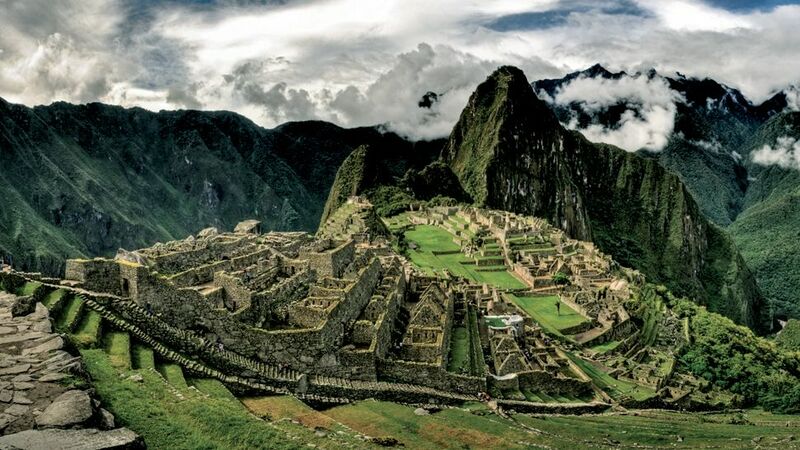 Please note that the Inca Trail (Machu Picchu) is closed in February for maintenance, so you can't hike up to Machu Picchu, BUT apparently you can still take the train up there. A big thanks to Elizabeth in the YYZ Deals Facebook Group for finding and sharing this deal. There are now over 8,200 travel junkies from Toronto in the Facebook group, keeping an eye out for amazing travel deals and sharing awesome travel advice. It's a great way to filter out the marketing noise of travel sites, and only focus on the unusually good deals available from Toronto. To join us, just go to /go/yyz-deals-facebook-group/ and click the 'Join Group' button. Update 1 - The cheaper flights seem to have sold out, the lowest prices in February now appear to be around $539 roundtrip including taxes. toronto, yyz, flight deals, copa airlines, south america, lima, peru and lim. 7 Responses to "Toronto to Lima, Peru | $431 roundtrip including taxes "
Hey Chris! Are there one ways deals too? Trying to get back from Peru in late Feb or march... Thanks! Thanks Chris! Booked a flight in may for $648 round trip incl taxes, a really awesome deal. Hey Chris! Also trying to find a longer trip to Peru, any way to make this a longer trip? One way works as the trip will be at least a month. Either way, this is an exciting deal and I may book it anyway. Just booked for end of Feb with a stopover at Panama for a few days at $583. Would be great to relax my feet after a challenging hike. Thanks! The cheapest I can see is 713 I guess the prices went up?